IN an industry dominated by UK-owned bookmakers, Crownbet.com.au offers Australian punters the best home-grown service for their punting dollar. Established in 2014 after a merge of the former title BetEasy.com.au, Crownbet is the brainchild of former Sportsbet.com.au CEO and gambling guru, Matthew Tripp. After hitting the Australian market with a bevy of specials, sponsorship deals and exclusive offers, the online bookmaker has built a strong reputation as a competitive and popular putting option and caters to all of the great Australian sports, including the AFL – in which it is the official wagering partner. In mid 2018 Crownbet’s majority ownership transferred from the Packer family dominated Crown to the Canadian based Pokerstars parent company The Stars Group. 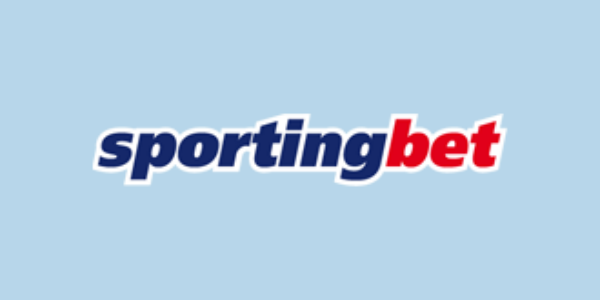 Crownbet also acquired the Australian licensed bookmaking businesses of of William Hill Australia, Centrebet and Tom Waterhouse and announced they will rebrand to Sportingbet by the end of the year. How do you sign up at Crownbet? Why would you sign up with Crownbet? What do you get for signing up at Crownbet? We’ll answer all the big questions in our bookmaker review. When you reach the Crownbet.com.au home page, you’ll see a bright, orange button along the top of your screen that says ‘Join Now’ – click that button. Once you have filled out your necessary information and confirmed your details you’ll be ready to have a punt and collect your bonuses and special offers. When signing on at any online bookmaker in Australia, it must be noted that customers in NSW, Victoria, South Australia and Wstern Australia are not technically allowed to receive bonuses and put these stipulations in their advertising. However, once you have joined Crownbet, the bookmaker is entitled to provide its customers with any freebies it sees fit. Be sure to contact the customer service desk to receive specials if you haven’t already been given them after a few days. CrownBet has a lucrative $500 deposit offer that is exclusive through FreeBets.net.au. Once you have signed up, if your first deposit as a new customer is $500 or more, CrownBet will reward you with an additional $500 worth of bonus bets. In addition to its deposit offers, CrownBet runs weekly specials on Australian thoroughbred racing, AFL, NRL and more of Australia’s biggest sports and events. Crownbet.com.au offers punters a comprehensive and easy-to-use service on racing for thoroughbreds, harness and greyhounds. The bookie provides odds, both fixed and live tote, for horse racing in Australia, New Zealand, the UK, Hong Kong, South Africa and around Europe. You can wager in any market you choose from – like any good bookie, markets available include win/place, trifectas, quinellas, exactas, quaddies, trebles and first fours. When you do win at Crownbet, you’re winning with the top tote – meaning Crownbet will always match the best odds on any race. In addition to the top tote, you can avoid the heartbreak of losing your bet in the event of a protest – the bookmaker pays out if your runner is the first past the post, regardless of any potential protest. Which sports can I bet on at Crownbet? If it has a ball, track, bat, racquet, bike or gloves, you’ll be able to bet on it at Crownbet.com.au. Once you’ve signed up at Crownbet and decided to have a punt, you’ll need to make your first deposit. The good news is it’s an easy process. While minimum deposit amounts can vary depending on which method you use, the minimum deposit in most cases begins at $10. When it comes to withdrawals, Crownbet makes it easy to get to your cash. Requesting a withdrawal directly to your bank account or credit card will see you collect your cash within 48 hours in most cases. If you are the holder of a Crownbet withdrawal card, you’ll be able to directly receive your winnings immediately at any nominated ATM machine. In addition to its easy-to-navigate website, CrownBet has a betting app that is optimised for your smart phone or tablet. You can download the Crownbet app in the Apple application store or for Android for free. Sign up at Crownbet.com.au and take advantage of the $500 deposit match offer today!